Spanish Jasmine plant, Jasminum grandiflorum, is the source of the essential oil used in perfume manufacture. Infusion of the leaves used as a kidney tonic. 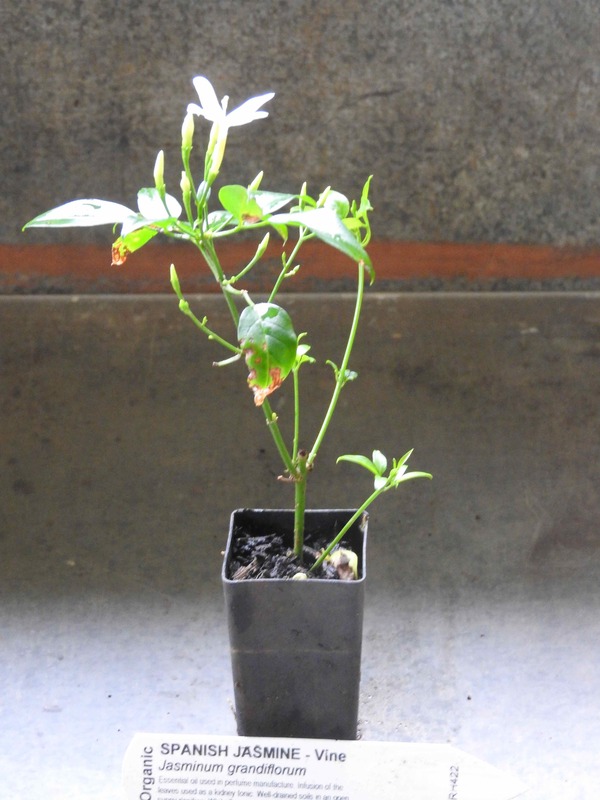 Spanish Jasmine plant is a native of the Himalayas and prefers light to medium, well drained soils in an open, sunny position. Produces white flowers in summer. Frost resistant but drought tender. An evergreen vine, growing to 2m. Be the first to review “Jasmine, Spanish plant” Click here to cancel reply.